Create produce and perform. Create ideas make changes without stopping and capture everything as you work. 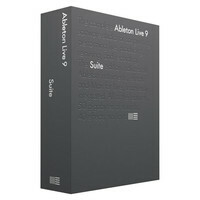 Abletons new software Live 9 has a ton of new features for music creation and production. 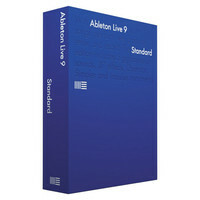 Ableton Live 9 Standard allows you to create produce and perform. Create ideas make changes without stopping and capture everything as you work. 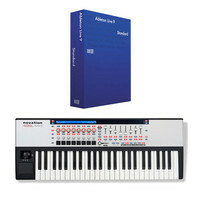 Abletons new software Live 9 has a ton of new features for music creation and production. Create produce and perform. Create ideas make changes without stopping and capture everything as you work. Abletons new software Live 9 has a ton of new features for music creation and production. Ableton is bundled with the Novation SL 49 controller keyboard which I designed to work seamlessly to speed up workflow and capture your creativity. 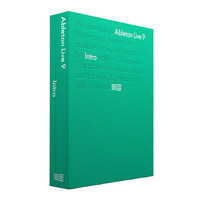 Ableton Live 9 Standard allos you to create produce and perform. Create ideas make changes without stopping and capture everything as you work. Abletons new software Live 9 has a ton of new features for music creation and production. Ableton Live 9 helps you create produce and perform. Create ideas make changes without stopping and capture everything as you work. Abletons new software Live 9 has a ton of new features for music creation and production. Ableton Push 2 is a next generation MIDI controller that works seamlessly with Live to provide a hands-on creative experience as well as the ability to professionally fine tune and finish your track. Push 2 is designed and engineered by Ableton for a complete music-making experience that is intuitive expressive and seamlessly integrated with the Live software. Push and Live combine to make beats play notes and chords as well as allowing you to work with samples and develop song structure. All this comes with freedom from a computer screen. Pure creative control. TRADE IN OFFER – Trade in your Ableton Push 1 and well donate it to education to teach more young people about music. In exchange youll receive 30 percent off a new Push 2. Valid until May 1st 2016. Please contact us for more information.